A tape measure is a weaver’s best friend. Think about how many ways the tape measure serves you. 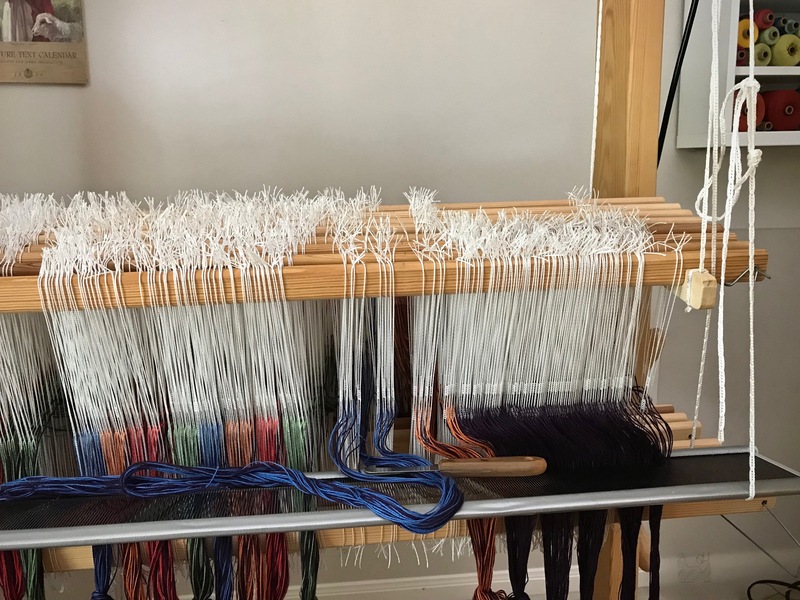 I have one at each loom. Always. And I have a few others scattered around, hanging up, and in bags. Because you never know when you might need to measure something. 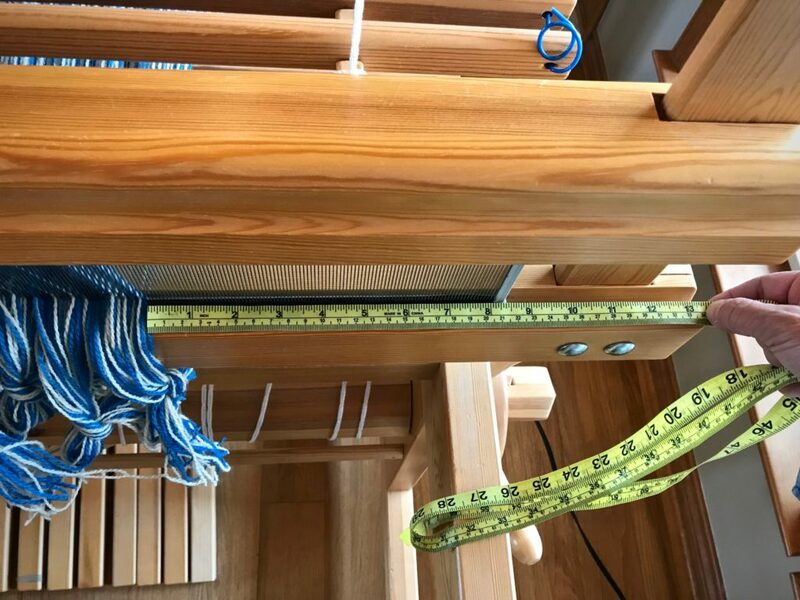 Take measurements to determine the desired size of the finished cloth, such as window measurements for curtains, floor space for area rugs, or length of skirt tiers for skirt fabric. 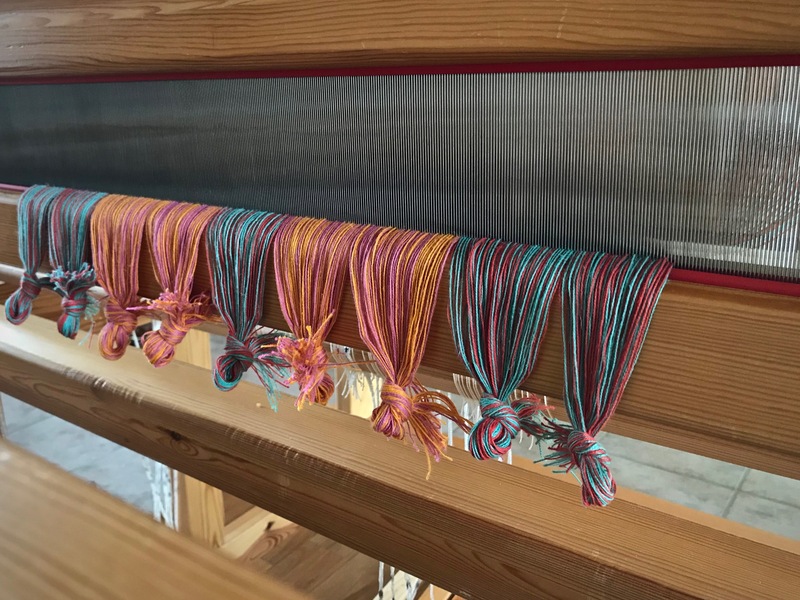 Measure the length of a guide string for winding the warp. 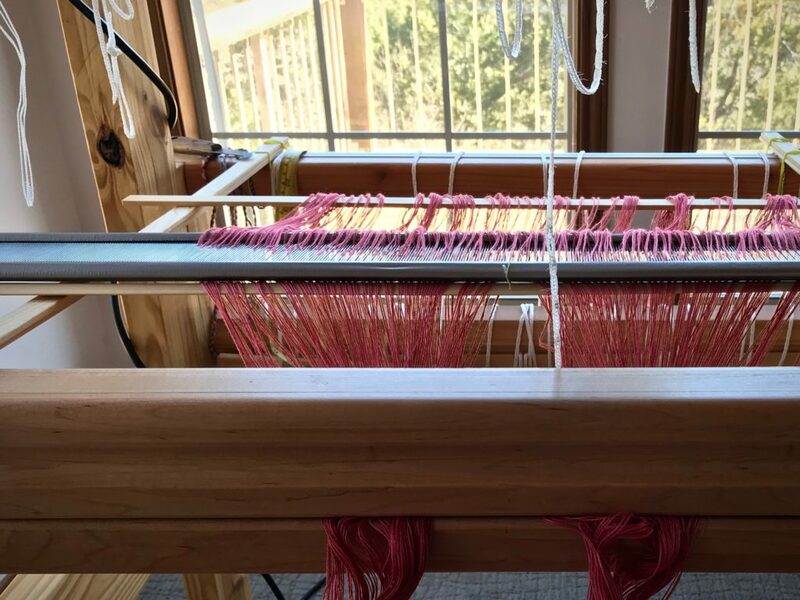 Find the starting point for the warp width in the pre-sley reed. 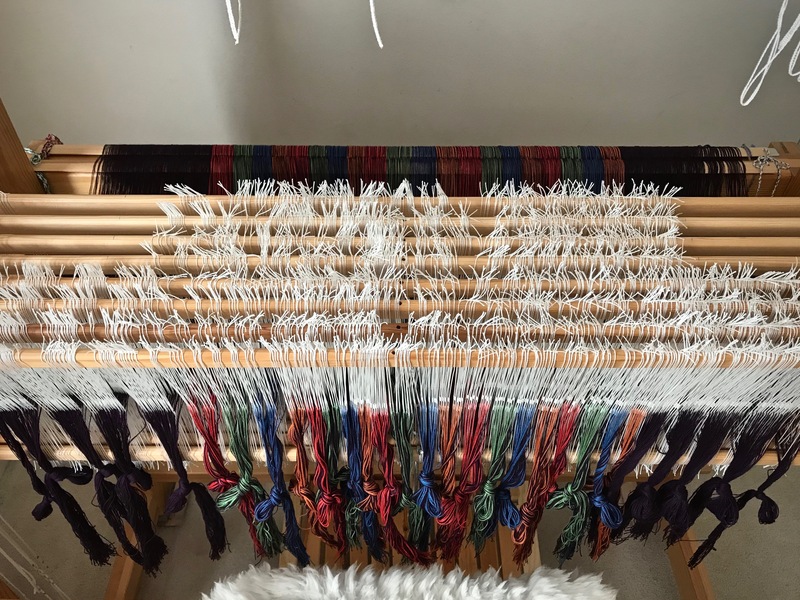 Double check the width of the warp after it is pre-sleyed. 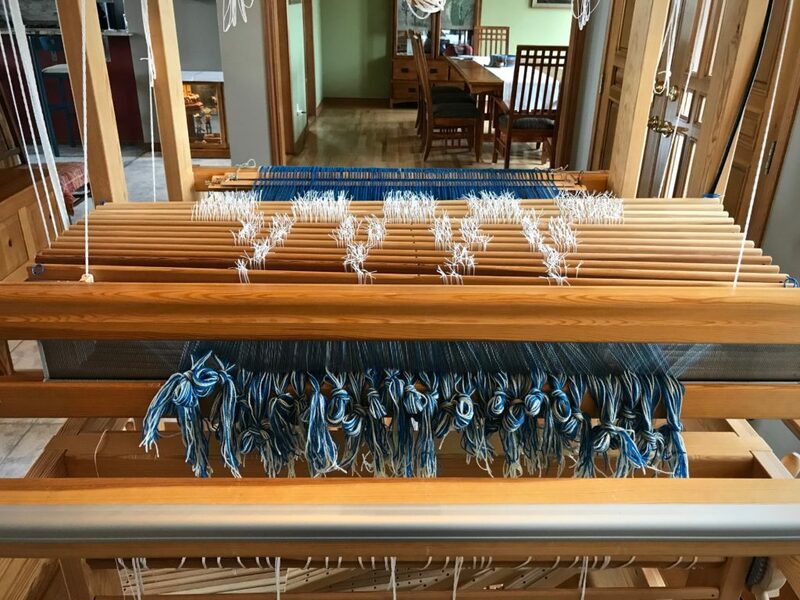 Check the width of the warp on the back tie-on bar. Center the reed in the beater for beaming the warp by measuring the distance from the warp in the reed to the outside edge of the beater on both sides. Find the starting point to sley the reed by measuring half of the warp width outwards from the center of the reed. 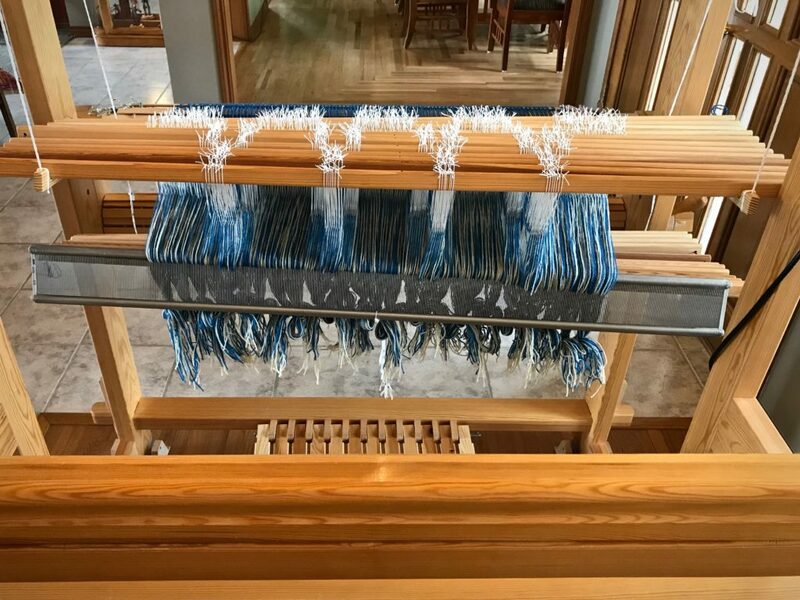 Double check the width of the warp in the reed after it is sleyed. Center the reed in the beater for weaving. 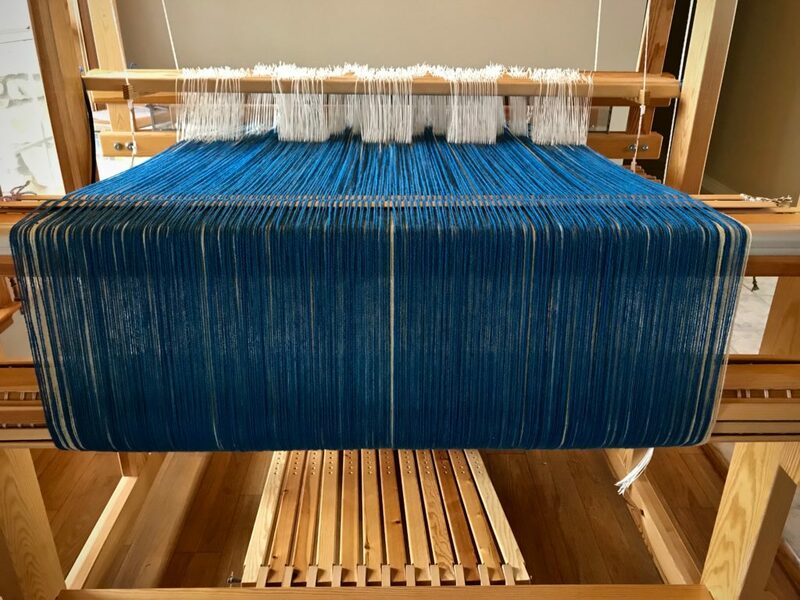 Adjust to the correct width of the warp on the front tie-on bar after the warp is tied on. Mark the measured weaving length on twill tape or ribbon to use as a weaving length guide. Measure how far one quill weaves. 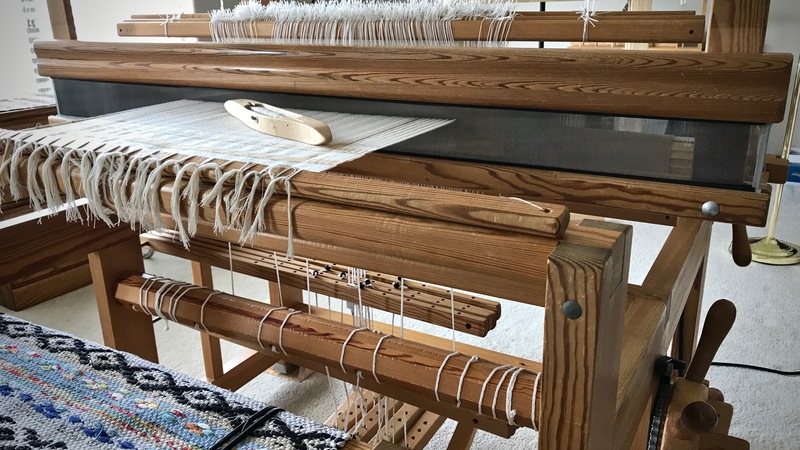 Measure the distance between pieces that require unwoven warp, such as for fringe, or for tying knots between rag rugs. 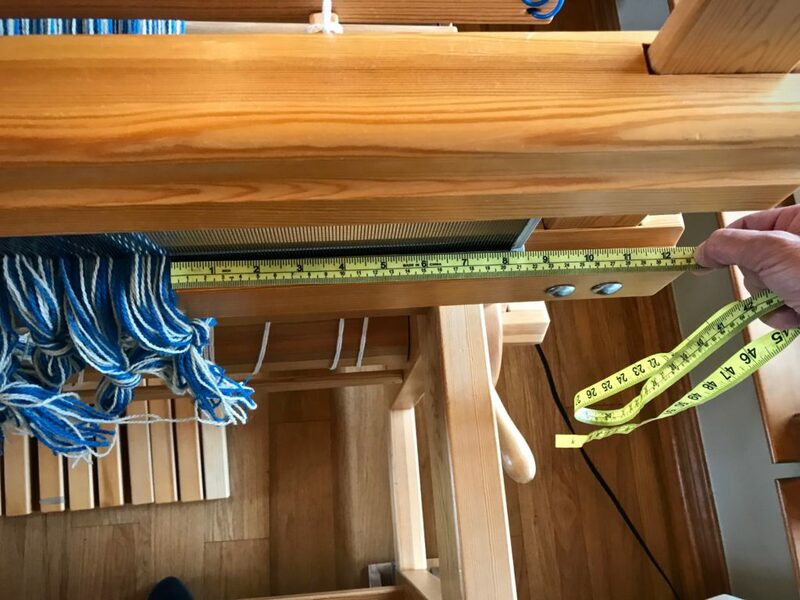 Measure the distance from the first shaft (nearest the back of the loom) to the back tie-on bar (especially when you are hoping there is enough warp left to finish a symmetrical pattern). 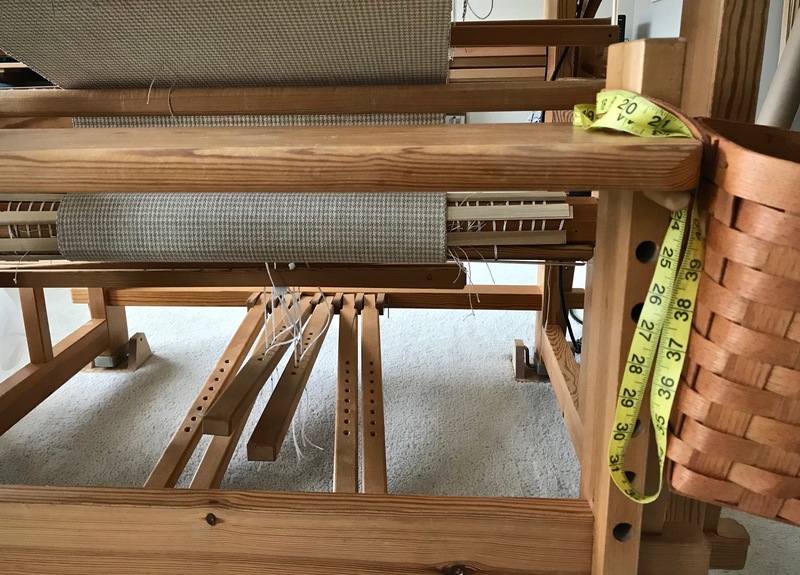 Measure the width and length of fabric that is cut from the loom. Measure the width and length of fabric that has been wet finished, dried, and pressed. 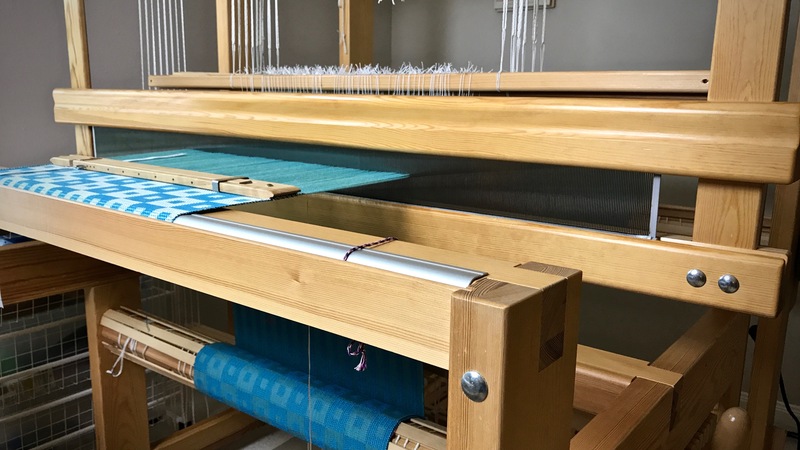 Measure your pleasure at the loom. Immeasurable! Tape measure with imperial and metric units, both of which I use regularly. Metal ends have been removed from the tape to clearly see the tape’s markings, and because I slip the tape into a dent of the reed when I am marking the spot to start sleying. 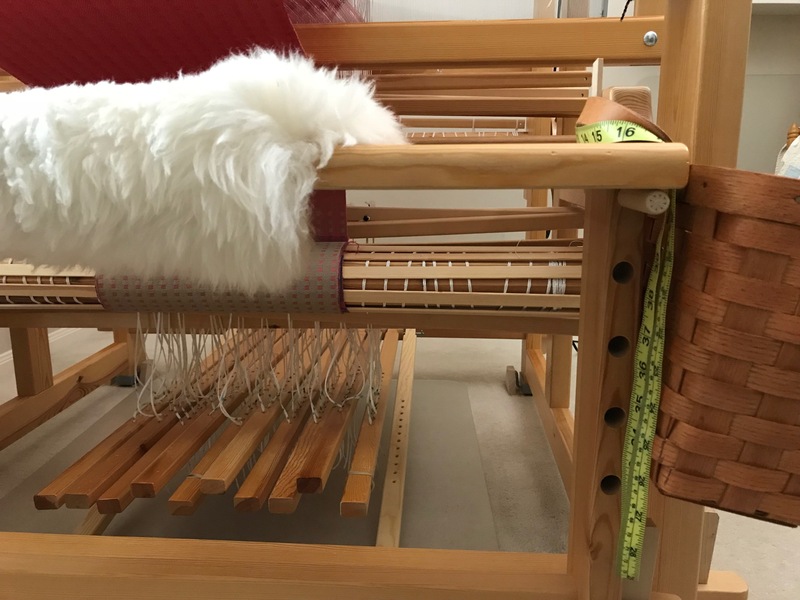 Glimåkra Ideal loom, with tape measure in its usual place hanging on the end of the loom bench. 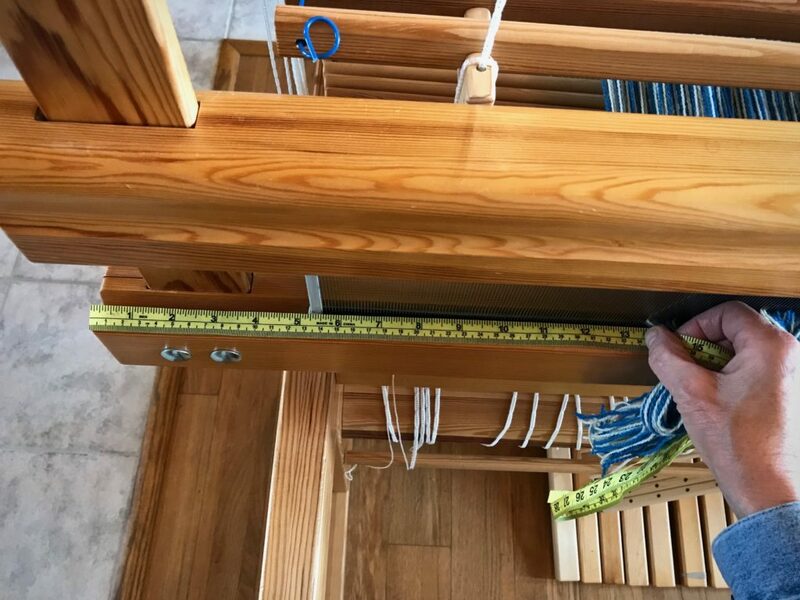 Glimåkra Standard loom, with tape measure ready for the next measuring task. 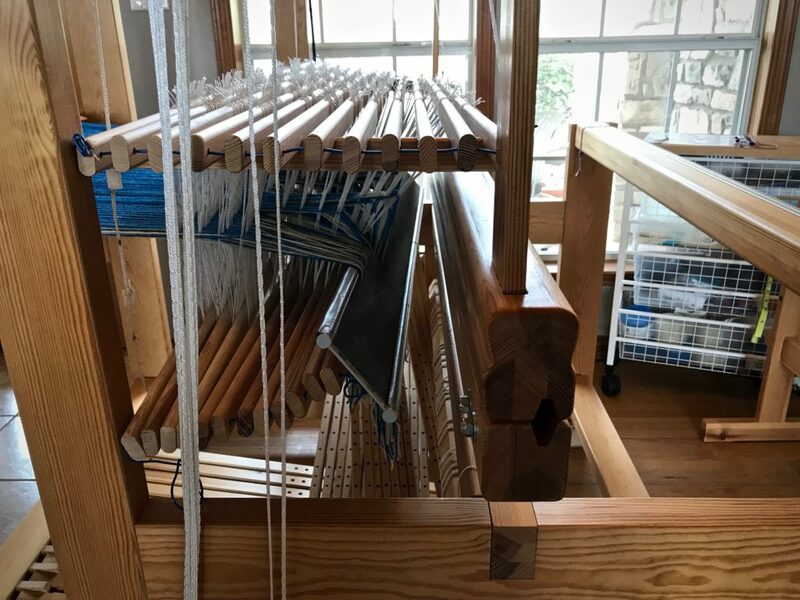 Tape measure hanging over the back beam on the Texas hill country loom while pre-sleying the reed and positioning things to prepare for beaming the warp. 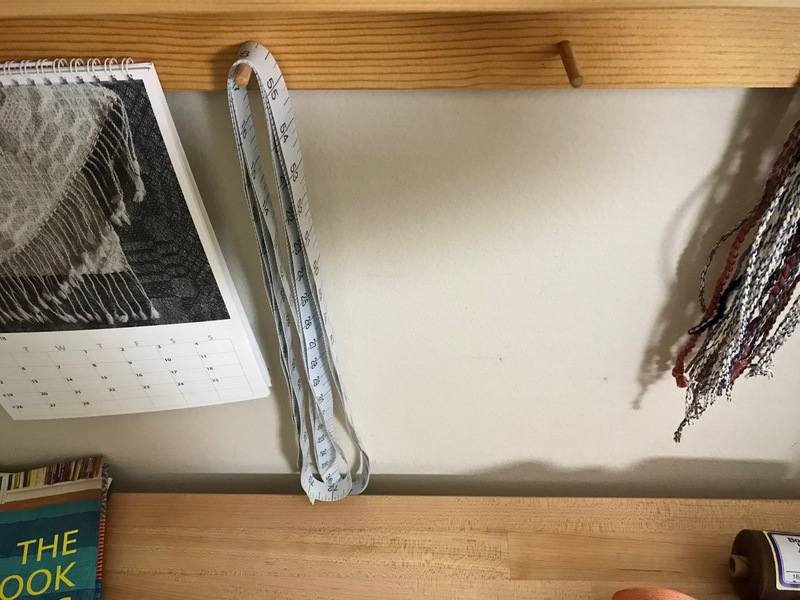 Extra-long tape measure hangs on the peg strip above my work table. 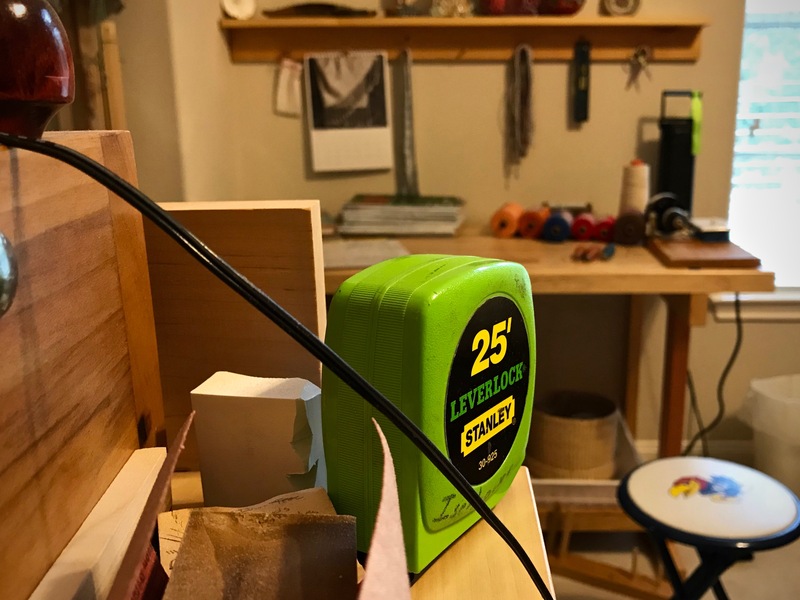 Occasionally, I borrow Steve’s metal carpenter’s tape measure from his wood carving bench. 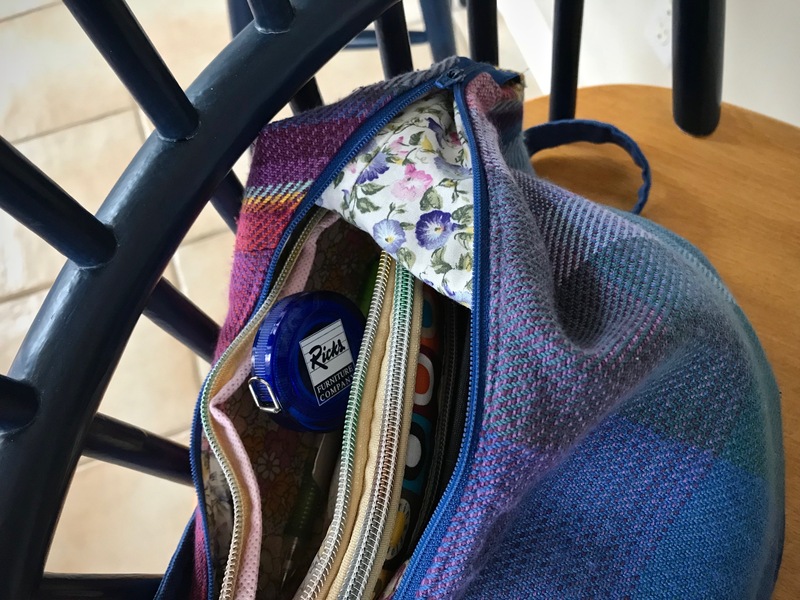 Compact retractible sewing tape measure rides in my travel tapestry bag. 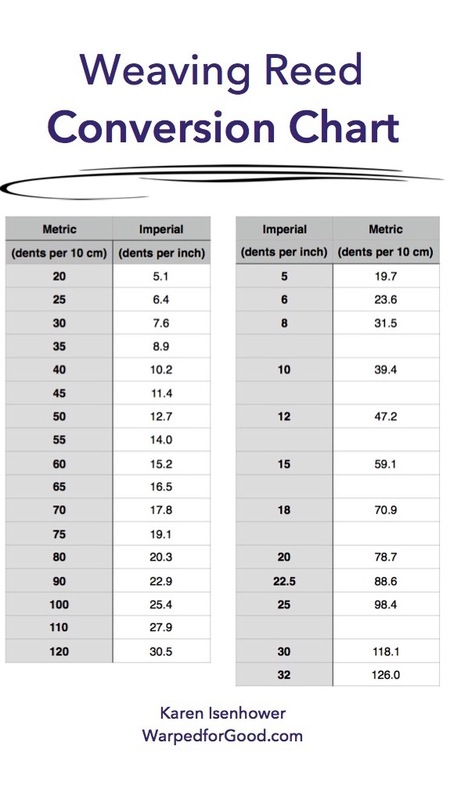 It has imperial and metric units. What have I missed? Can you think of other ways your tape measure comes in handy? May you be blessed in full measure. I guess I never really thought about how often we measure things but that is quite a lengthy list! I really need to get more to spread around as that seems really convenient. I have one next to my loom and death to anyone who moves it! 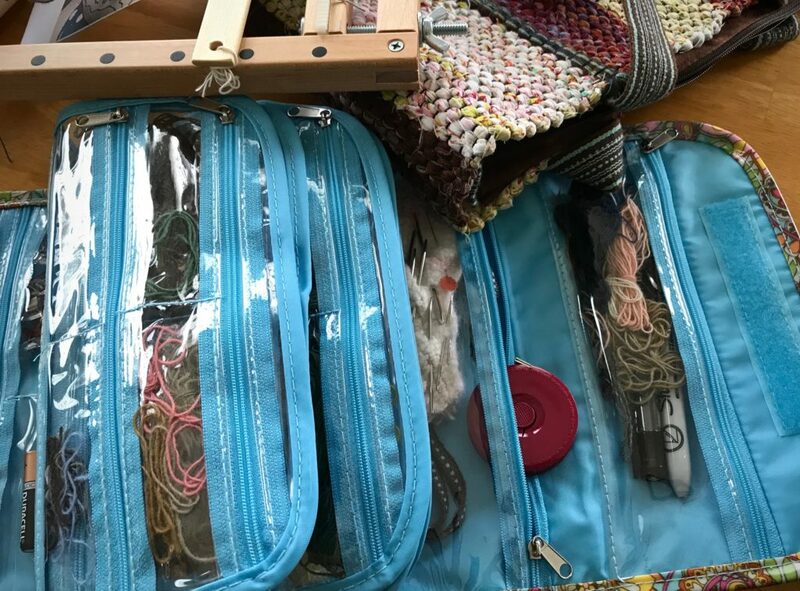 My family has discovered that I don’t share weaving things well; like tapes, scissors, pins, pens, clamps or my iPad charging cord and actually, not the iPad, either. However, I will share many other blessings with them. Thank you for sharing your blessings with me this morning, Karen. May you also have a blessed day. For weaving, after the fabric is made, I use it for measuring hems, or for seam allowances and centering zippers if I make pillows. 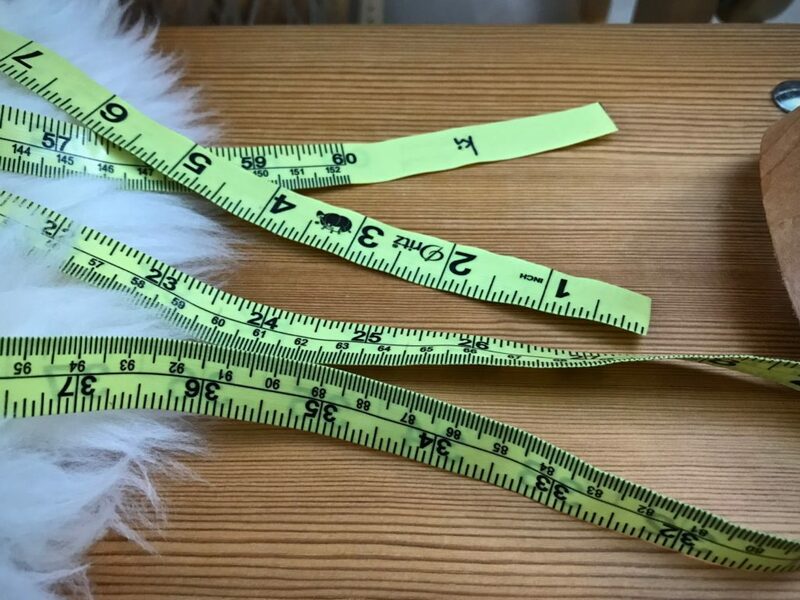 The width of a measuring tape, 5/8″, is a good seam allowance for a lot of things, and I use it when I need to mark a consistent 5/8″. 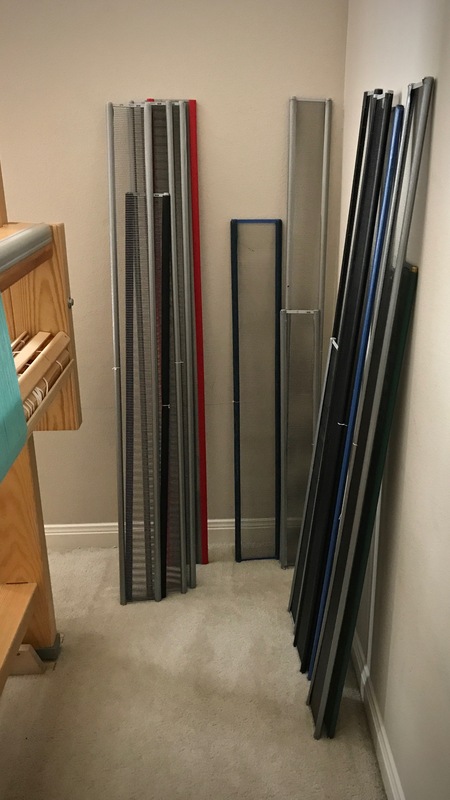 If consistency is important when making several lengths the same, like for curtains, I measure only the first length with a measuring tape, the rest I measure with the first piece I cut, it tends to be even more accurate that way, especially if you make a bunch. Over the years, a new measuring tools has been added, the large gridded cutting mat laying on my work table. 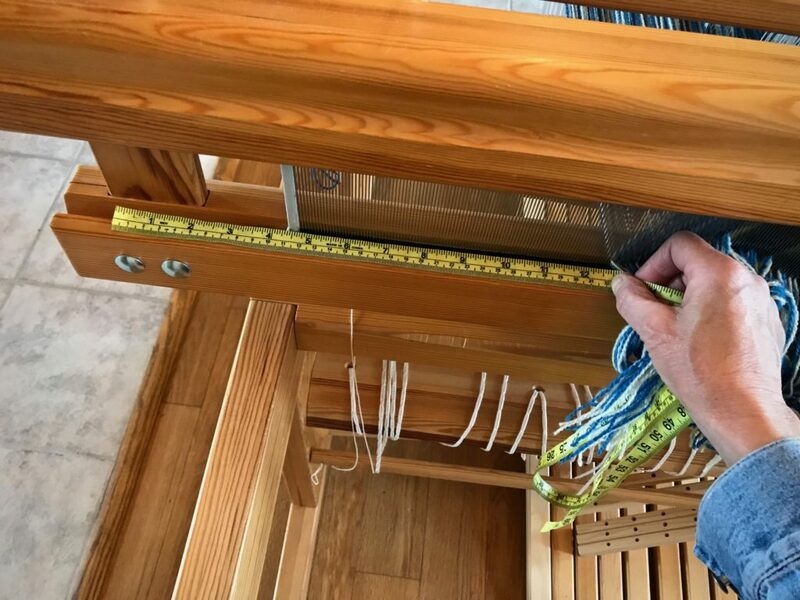 Which is a great measuring tool for certain things, like measuring a warp string, texolv cords, or the size of a pillow insert in order to decide the size for the cover. And for good measure (pun intended) when you need to get an idea of proportions, like width and length of a runner or a placemat the gridded mat is great. Oh Elisabeth, I can learn so much from you! I never thought about using the width of the measuring tape to mark a consistent 5/8-in. line. I agree that the gridded mat is useful again and again. Also, the clear quilter’s ruler is in frequent use at my table. Kidney stones big enough to measure -ouch! I am still looking for cloth measuring tapes. I find it difficult to use the plastic coated ones. Hi Tobie, When I hear cloth measuring tape, the first thing I think of is the cloth measuring tape my grandmother used. Sweet memories there! It’s been a long time since I’ve seen a cloth measuring tape. I hope you find some that work for you!